How To Buy Stamp Paper Online? All set to make an agreement? Well, whatever agreement you are planning to make, you will need the one thing that all agreements require in common – a Stamp Paper. Don’t you need one? Irrespective of what’s the agreement about, to make it legally valid it should be executed on a stamp paper of requisite value. Not only agreements but also various affidavits, deeds, certificates, bonds, etc need to be executed on stamp papers to make them legitimate. So how do you get Stamp Papers? Stamp Duty is the tax levied on the legal acknowledgement of documents. According to the law, it is mandatory to pay stamp duty to the Central/State Government when certain transactions happen. Such transactions include lease agreement, buying and selling of property, business agreements, loan agreements, power of attorney, affidavits, AOA, MOA, Indemnity Bond, Mortgage, Gift Deed, etc. The value of stamp duty is either fixed or varies with the value of property/instrument under question. The amount of stamp duty to be paid for a particular transaction differs from state to state. 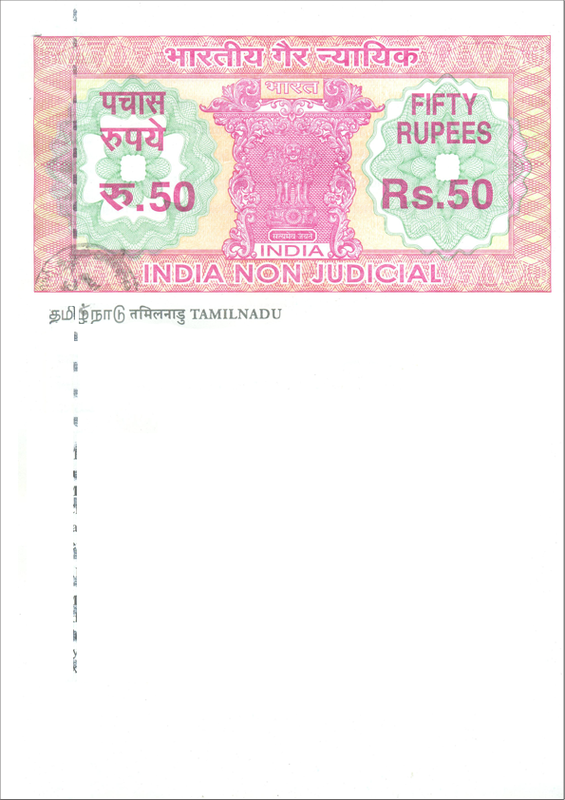 The Indian Stamp Act, 1899, is applicable for states which do not have their own Stamp Act. In all these ways, the purpose is the same, i.e., to pay stamp duty to the government to make a document legally enforceable. These are non-judicial stamp papers purchased as a way to pay Stamp Duty to the government. 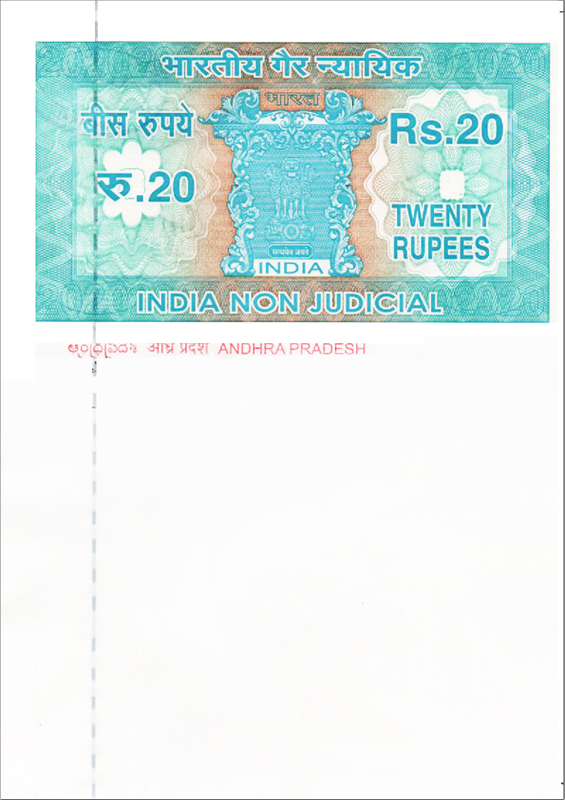 Traditional or Physical stamp papers can be purchased from stamp vendors. 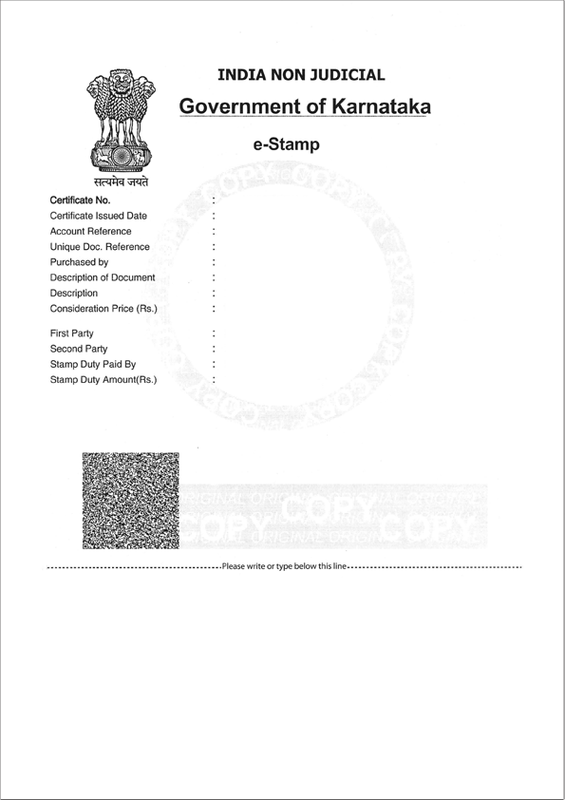 E-stamping is a computer based application and E-Stamps are available in certain banks and co-operative societies. In either case, stamp paper has to be bought and then the agreement has to be typed on it. 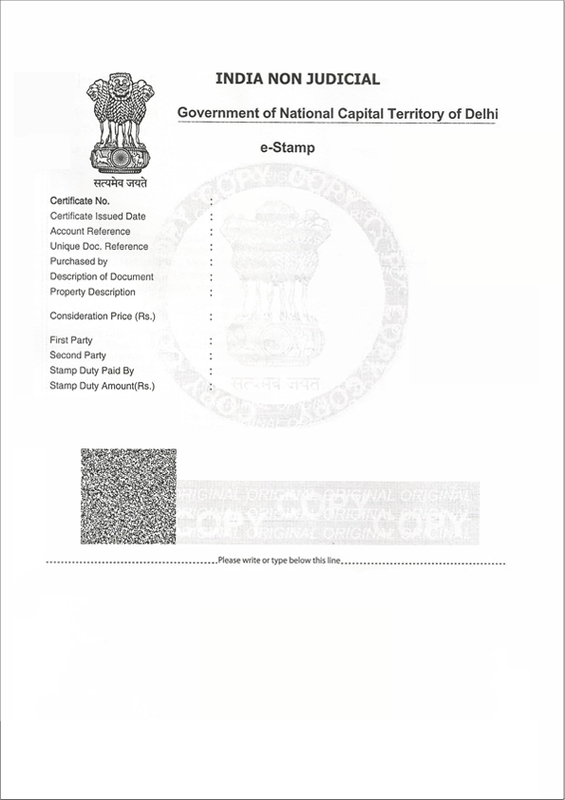 Franking refers to a technique of making a mark on a document indicating that the stamp duty for the transaction has been paid. Franking machines are installed in many Sub-Registrar offices. After the receipt of requisite stamp duty, the authorised officer franks the document and returns to the applicant. Most states allow you to purchase the Stamp paper of same value if you find it inconvenient to get the document franked. Adhesive stamps are convenient labels that can be pasted on documents for you have paid the stamp duty. They are adhesive stamps for postal and non-postal usage. 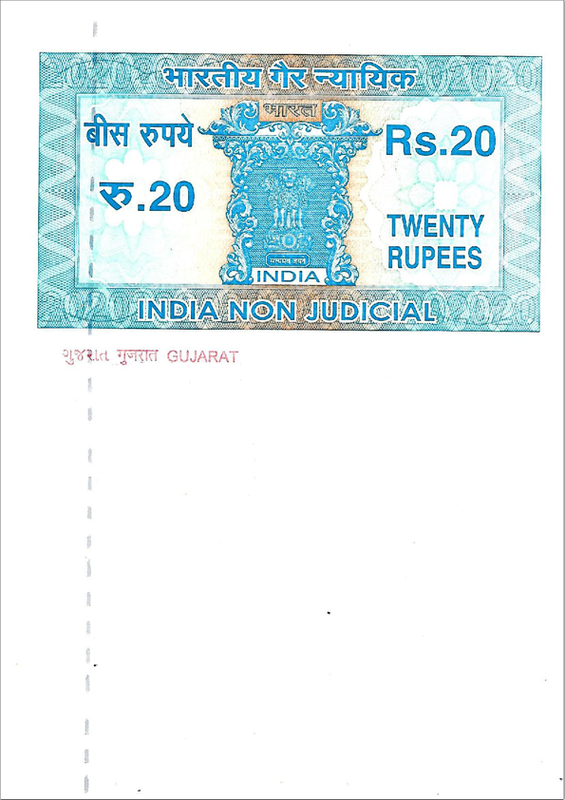 For legal documents, affixing of postal stamps is not valid. So, make sure to choose the right one. In any way of paying stamp duty, you will first have to make sure about the required value of stamp duty that you are required to pay for a certain transaction. Only then you should proceed to buy stamp paper or adhesive stamps or opt the method of franking. 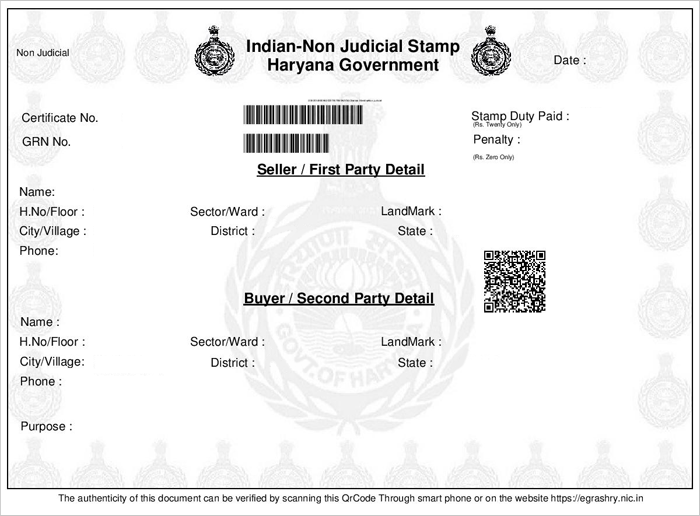 Now, you can buy stamp papers by placing a request online, without stepping out of your house. All you have to do is to fill in your details in the form below, choose the required stamp paper value and place an order. If you are someone who would need stamp papers in bulk for your business, then contact us immediately. We would facilitate you with Stamp papers in bulk. 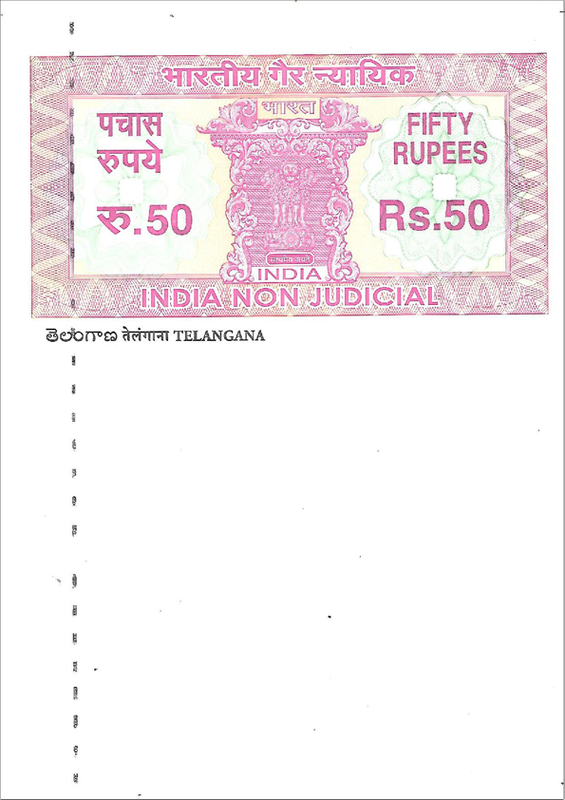 We provide Stamp papers across India. At LegalDesk.com, we help you in making your documentation work quick and hassle-free. Using our pre-drafted ready to use and customisable legal documents, you can create your own documents online within minutes. If you prefer drafting your agreements yourself or with the help of your personal lawyer or someone you know, we can help you with the rest. You can upload your document on our portal and we will print it on Stamp Paper and deliver it to an address of your choice.